Crisp turnovers filled with mildly spiced potatoes and peas. 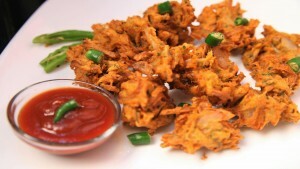 Marinated paneer dipped in a batter and deep fried makes a crispy mouth-watering snack. Spiced Potato Patties with Homemade Coriander Chutney. It’s got nice and spicy stuffing of roasted peanut powder, which gives it a nice and nutty flavor. Boiled eggs coated with basen batter and deep fried till golden brown. © 2016 Basera Indian Cuisine • All Rights Reserved.Website Designed by Ighty Support.